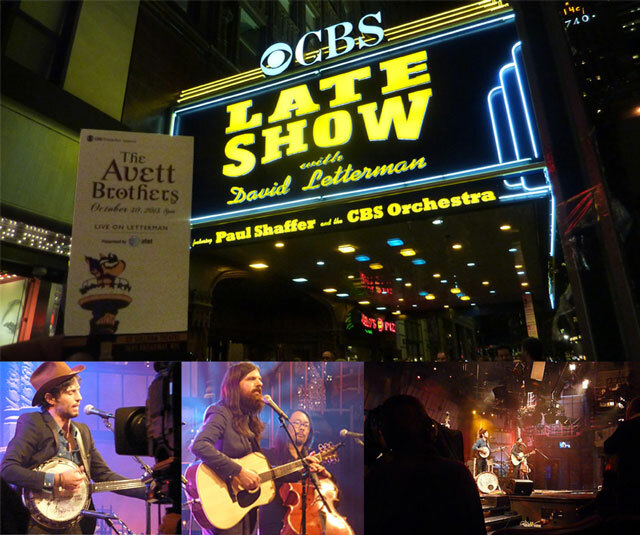 Hot on the heels of the release of the Magpie and the Dandelion album (Universal Republic/UMG) The Avett Brothers band were featured on CBS’s Live On Letterman webcast. Thanks to this AT&T sponsored series many bands are getting a chance to share their music beyond the traditional one tune allotment of nighttime television. Groups get to play a set of approximately an hour which is webcast live as well as available to see via the archive at a later time. Entering the theater to rousing applause the group began their set with “Open Ended Life” as does the new album. It’s a tune that nicely characterizes much of the band’s influenced-by-everything style. There are verses that might remind you of Beggars Banquet era Rolling Stones, banjo and harmony vocals that wouldn’t be out of place on a Poco album, followed by an old timey fiddle driven coda. It’s a great ride and one of my favorite tunes on Magpie and the Dandelion. Those who waited in line for the first come, first serve seating were treated to an intimate experience that is unlikely to be easily repeated as the group’s popularity rises. The plaintiff refrain of their song “I And Love And You” requesting Brooklyn to take them in has certainly come to pass and then some. When they return to New York City in spring 2014 they’ll be headlining the borough’s Barclay Center arena. 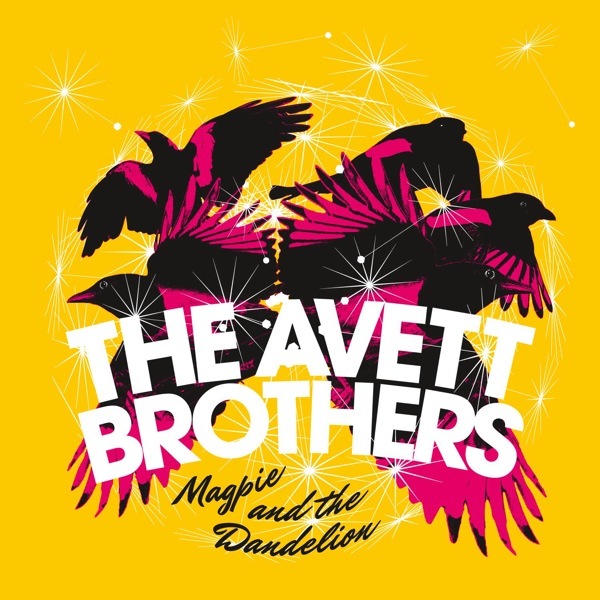 I love this new album from The Avett Brothers. It’s a solid set of melodies and lyrics, with only the deluxe edition demo tracks seeming superfluous, but as good as the record is the tunes truly shine in a live setting. Stop reading this, hit the CBS site, and go hear it for yourself. Be sure to explore the archive for other great shows.